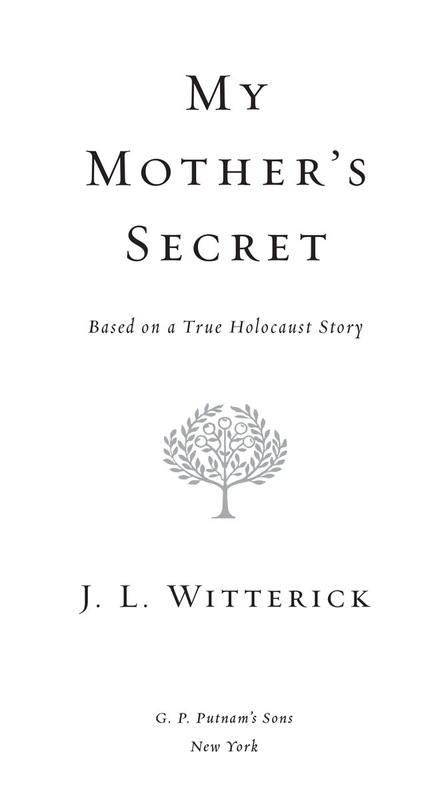 My mother's secret : a novel based on a true holocaust story / J. L. Witterick. 1. World War, 1939â1945âPolandâFiction. 2. JewsâPolandâFiction. 3. FamiliesâPolandâHistoryâ20th century. 4. Holocaust, Jewish (1939â1945)âPolandâFiction. 5. Historical fiction. I. Title. “I have always had an acute interest in history as it relates to the Holocaust. The story will take you on a heartfelt journey. The writing is exquisiteÂ .Â .Â . simple, yet profound. 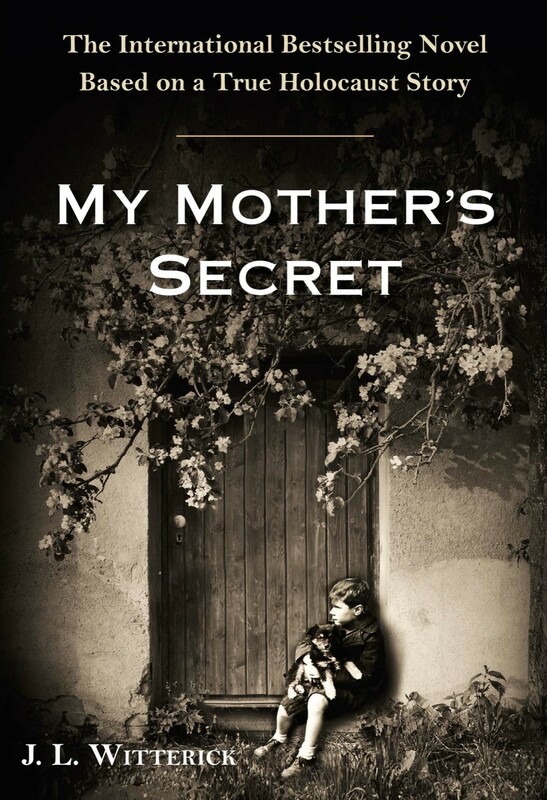 The book was inspired by the courage of Franciszka Halamajowa and her daughter, Helena. The characters are fictional. Nevertheless, many of the experiences of the characters are consistent with events of that time. hen you're a child, you think that your parents are the same as everyone else's and that what happens in your house happens in other people's homes too. You have no way of knowing any differently. And so, I think that everyone is afraid of their father. I think that men marry to have someone cook and clean for them. I don't know that some men actually love their wives and their children. My brother, Damian, and I grow up with two very different people. My father is precise, hard, and linear, while my mother is imaginative, loving, and warm. My father is Ukrainian and my mother is Polish, but we moved to Germany, where the opportunities are better than in Poland. My father is a machinist, and that suits him well because it requires precision and measurementâboth skills he possesses in abundance. My mother works as a cook for a wealthy German family, and we love that she often brings leftovers home for us. She brings food that we never would have tasted otherwise. Not much usually, but there are sometimes small pieces of expensive meats like pork chops and, if we're lucky, fruits and nuts, which are luxuries for most people. When there are leftovers, my mother puts them all on a plate for us to share. Even though we would have already eaten the dinner cooked ahead for us in the morning, it's a special treat that we all look forward to. Typically, my father gorges himself, reaching for more even while he's still chewing with his mouth partly open. Once as I am about to pick up a slice of apple from the plate, my father slaps my hand. It is something that he wants. My mother sees this and shakes her head. The next week she keeps a whole apple in her pocket and only brings it out after my father starts the loud, snorting sound that is his snore when asleep. She cuts the apple in half and gives it to my brother and me. I shake my head. “You can eat this, Damian.” But he refuses and makes me take it. It makes the apple even sweeter than it already is. My brother and I look at each other and then down because, if we didn't, he would have seen our smiles. living together is not easy to begin with, but two strong people with opposing political viewsâthat's virtually impossible. My father is a Nazi sympathizer, and my mother is horrified by it. “Hitler is the answer to the problems of the German people,” my father says. Just a few years ago no one had even heard of Hitler, but now it seems like his name is everywhere. His wave of popularity is swelling. People are poor and unemployment is high. Hitler promises better times. He tells the German people that they are superior. “Germany will be a great power again if Hitler is the leader,” my father says. His fellow workers at the machine shop are all going to vote for him. “If you're German and someone tells you that you're born superior, that would sound pretty good,” my mother says. My mother doesn't pass judgment on groups of people. She believes in the individual. “Not all Germans are good or bad, and the same with Jews,” she says. She's outspoken and says what she believes. They have shouting matches over this, and while my brother and I stay quiet, we don't like what Hitler is promising. We heard Hitler speak once and saw the hypnotic power that he had over people. He has that effect on our father. Y FATHER DOESN'T ARGUE WITH FACTS. He makes his points with attacks on the other person. “It doesn't make you blind” is what she says. The Extinction Switch: Book three of the Kato's War series by Broderick, Andrew C.